If you are serious about hitting the pavement, you need to get serious in buying the right gear. The most important gear to invest in is your running shoes. In fact, many experts say that it’s the one thing you should not scrimp on because they make sure that you can run for a long time without feeling discomfort. If you are not sure which running shoes to buy, consider the following tips to help you before you make a selection. Don’t buy a shoe because you like the colors – fashion should be the last thing on your mind when canvassing for running shoes. Don’t look at the colors or try to match your shoes with all the workout gear you have in your closet. You are not walking on a runway or buying your shoes in order to be complemented by others for your fashion. 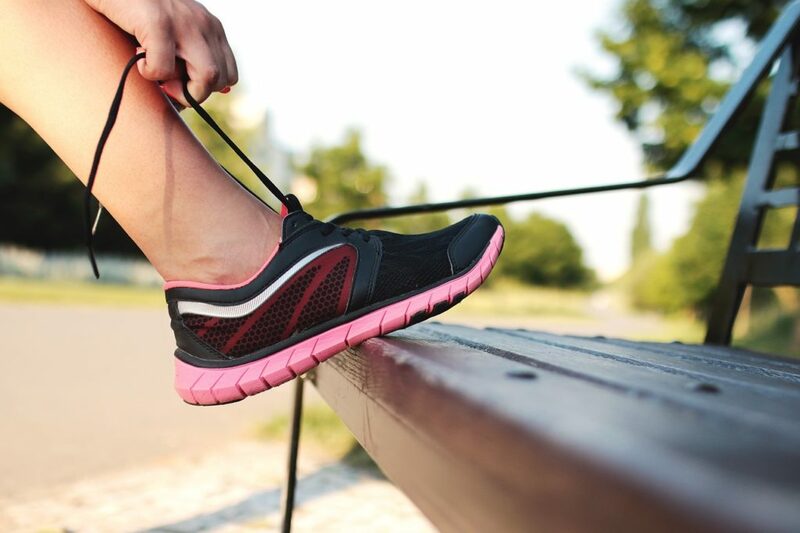 Function and comfort should always be at the top of your priority list when looking for new running shoes. Identify your foot type – a very good idea to do is to actually identify your foot type. You can have a normal foot, which has a medium arch, a high arch, or a low arch which is commonly called a flat foot. Why is this important? Because the shoes you wear can help you address some issues you might have with your foot. For example, if you have a flat foot, experts say that flat-footed runners are more prone to injuries because their feet roll inward. If you buy maximum stability shoes or motion control shoes, that will help prevent injuries. Don’t buy shoes that are tight at the front – buying shoes that are too tight will mean that your feet will not have enough room to move in. This is why it is important to try on the shoes in order to get a perfect size. Do not readily assume that you have the same size of shoes for all brands. And make sure that when you go to the store to fit the shoes, it’s important that you try on both shoes to ensure the perfect fit. Bring your socks and go to the store in the afternoon – make sure to bring the socks that you always wear during running when you go to the store to buy the shoes. Some people make the mistake of buying running shoes without socks on and it results to the shoes being too tight. It’s also important to go during the end of the day, because your feet may swell during the day. They should be comfortable – one thing you should remember is that unlike hiking boots, you don’t break in running shoes. They should be comfortable from the get to. So when you try them on both feet, try to ask the salesperson if you can run around outside so you can gauge just how comfortable they feel on your feet. After reading the above tips, you are now ready to buy the perfect pair of running shoes. You can check out these cross-training shoes from basictrainingsf.com as they are considered the top running shoes in the market today.